How cool is that! We got our very own super cool photo booth right here at Zori. No more worries about trying to rent a photo booth from a source elsewhere in Croatia with hassles to get it to and from Zori which can be difficult because of our location all the way out on this pretty little island. You will have a choice of backdrops and we will even trow in some basic props and wigs, we can set the Photo Booth up to only shoot the images and or to print directly one or multiple copies of same print which is a lovely feature to add to any wedding, your guests get one copy as a memory of your lovely wedding day here in sunny Croatia and you get to keep one copy for your guest book. There is also an option to have your guests share their images to their own email address or even to the popular social sites like Facebook or Twitter. 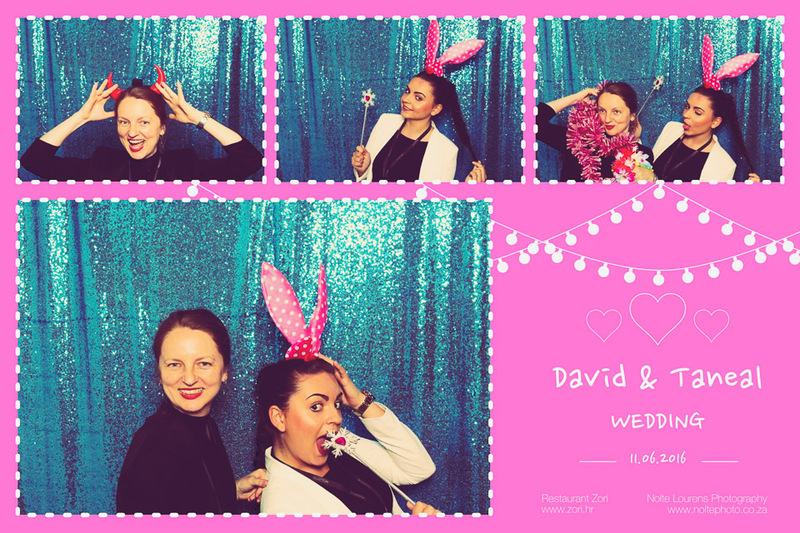 Please enquire about the Photo Booth rates when you contact us. Older Post6 Tips So Your Guests Will Have A Blast At Your Destination Wedding!